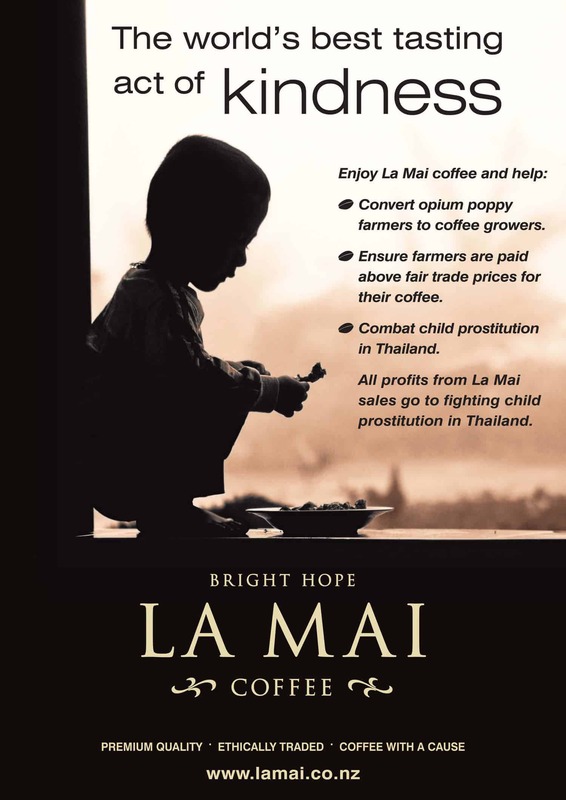 Coffee Worx are privileged to partner with Bright Hope Charity in roasting their exclusive Thai coffee – La Mai. This rich, smooth coffee is a single origin arabica bean from Northern Thailand. Thailand is yet to be recognised as a serious coffee growing nation, but once you taste La Mai you will understand why this coffee is set to be very well received into the discerning and ethical coffee drinking market. If you have a cafe or organisation that would like to support this great cause, please contact us about our wholesale supply and support. Enquire today about this great product, or find out more at www.lamai.co.nz.